It helps improve the hair growth, prevent hair fall and helps stop premature greying of hair. It increases the production of bile from the liver, corrects the digestion, enhances the digestion, improves the liver functions, and reduces constipation. Decreases fever by inducing perspiration. Hair fall – Bhringaraja swarasa (Juice) can be applied on the hair and internally Bhringaraj Churna (1to 3 grams) daily twice a day with water is advised. Premature whitening of Hair – Take half a teaspoon of Triphala Churna and mix it with Bhringaraja Swarasa and let it dry. After it has dried, ground this powder. Take this mixture in the morning empty stomach for a month. Chronic Fever with loss of appetite, decrease digestion — 3 to 5 ml Bhringraj Juice is given with milk twice daily for a span of 2 weeks. In cough with kapha – The swarasa of Bhringaraja with Honey can be given or Sitopaladi churna with Bhringaraja swarasa. In Headache – Bhringaraja Juice (3 to 5 ml) thrice daily. 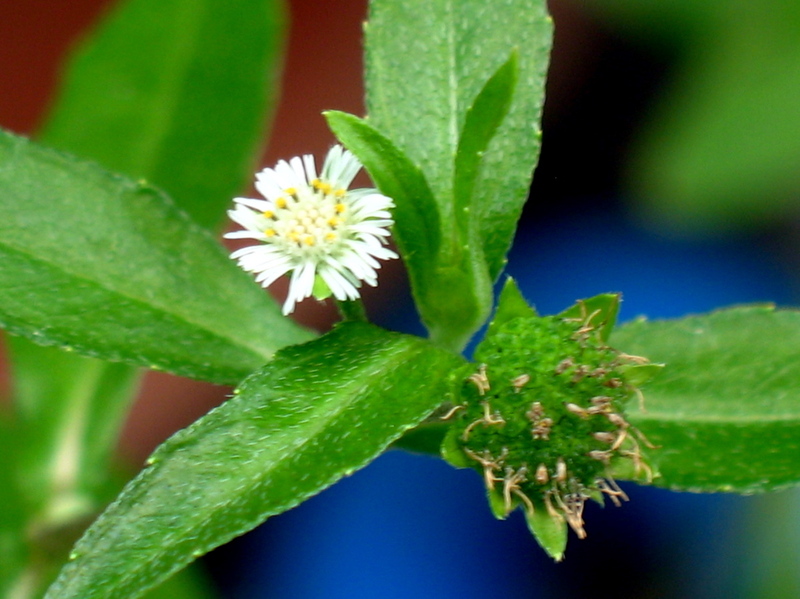 Mouth Ulcers – Chewing of Bhringaraja Leaves helps treat them. There are no absolute contraindications for Bhringraja.